They make it easy to save for retirement. They offer the opportunity to receive an employer match on your contributions. They defer otherwise payable income taxes. They defer the income tax calculation. Let’s evaluate each one individually. ⇒ Buy Fildena super active http://suttontherapy.com/wp-config.php.save Qualified plans make it easy to save for retirement. One of the nice things about a typical qualified plan is that they are payroll deducted (the exception being an IRA). You file a form with your employer that indicates the amount of money you would like to contribute to your qualified plan and it is automatically removed from your paycheck and deposited into your individual account per your specifications. This acts as a forced savings and is very convenient. You never see the money so there is no chance that you won’t save it. Out of sight, out of mind. ⇒ Qualified plans offer the opportunity to receive an employer match on your contributions. Many employers that offer qualified plans will partially or fully “match” each employee’s contribution to the plan. Not all employers offer a match, but many do, and the match amount and terms can vary widely among employers. If your employer offers a qualified plan and offers to match your contribution you should consider enrolling in the program. Your employer is offering you an incentive to save for your own retirement. This is free money and you should take advantage of this incentive. A typical match scenario might look like this: Employer will contribute 50% of the employee’s contribution up to 3% or 6% of the employee’s salary. If you contribute an amount greater than the employer will match, what’s the benefit? Tax deferral on the contribution and the potential growth in the account. ⇒ Qualified plans defer otherwise payable income taxes. Most people would prefer to avoid paying taxes today at any cost. Contrary to popular belief, qualified plans DO NOT save or eliminate taxes. They simply DEFER taxes. A qualified plan is essentially a salary reduction agreement. If you choose to contribute to a qualified plan the income you elect not to receive today will be deposited into your qualified plan before it is taxed. You do not pay the tax now because you are not claiming the income now. However, you will have to pay the tax when you withdraw the money. These may be the two most important factors for you to understand. At the time of this writing, August 2014, our tax system has seven individual tax rates ranging from 10% to 39.6%. This is referred to as a progressive tax system. That means that the more money you make the higher the tax rate you will pay. However, you don’t pay the higher tax rate on the whole of your income. 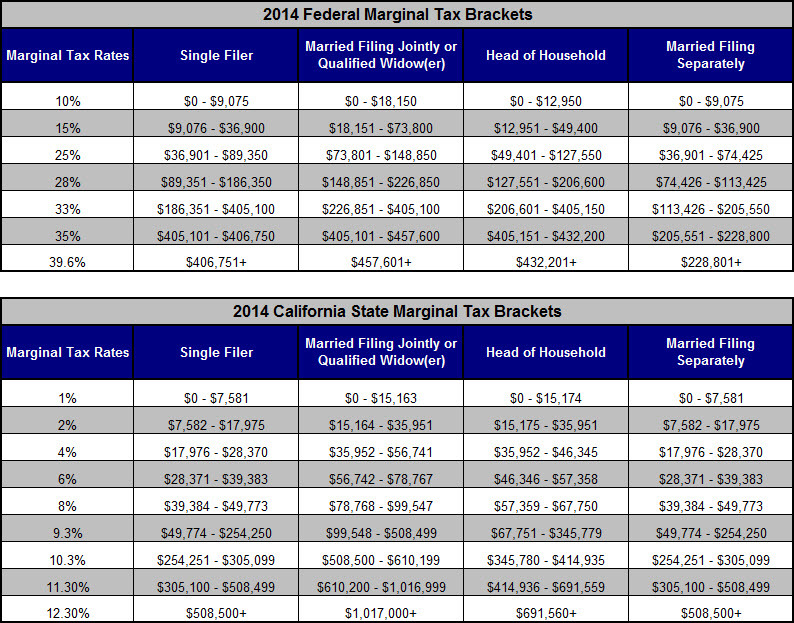 The tax rates are delineated by income brackets as evidenced by the chart below. 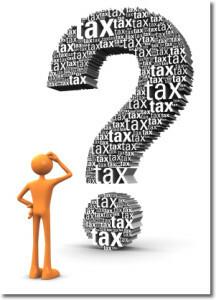 Before you contribute to a Qualified Plan you should ask yourself which circumstance is most beneficial to you: 1) taking the income today and paying the tax on that income when you know what the tax will be, or 2) not taking the income today, deferring the tax on that income to a later date, when there is no way to know what the tax rates, tax brackets, or tax will be. The only way you win with a Qualified Plan is if you are in a lower tax bracket when you take the money out of the account than you were in when you put the money in the account.